I was never very successful as a kid whenever I attempted to give something up for Lent. Neither my family nor my church emphasized it as an important part of my faith, so I usually started with some good intentions and gave it up a few days later. If this sounds like you or someone you know, you might like to read my post on the Christian Children’s Author website. I write about a new way to think about Lent this year–more of a giving in than a giving up. It’s more meaningful to me, and maybe it will be to you, too. Part of a life-long journey re-orienting our lives toward Jesus. Thank you for reading! Do you recognize Lent? Please share your thoughts in the comments on the Christian Children’s Author site, or here. Happy Valentine’s Day from snowy Seattle! A young friend greeted me at school today with this lovely picture inspired by Sophie’s Quest (“Sophie” and “Timley” are written under the pictures). So cute! This is our one and only day in school this entire week as Midwinter Break begins tomorrow. A little crazy for normally rainy Seattle! I used all of our snowbound days to work on Sophie’s Gold Rush, the third and final book in the Sophie Topfeather series. I’m on the revision stage and have been checking for consistency of things like names and places and deleting redundancies. When you work on something in bits and pieces over several years, it’s surprisingly easy to forget what you named a minor character fifty pages back! I’m not quite ready to share the manuscript yet, but getting close! If you are interested in being part of my “Beta Readers” team, could you let me know? That’s a fancy name for a group who is willing to read a novel-length manuscript and give me honest feedback with the purpose of making it the best book it can be before it gets published. You can leave a comment below, or a message on the Contact page, or an email or Facebook message. I’d like to have two types of people who can help me review this manuscript: someone who has read the other two books in the series and can help me ensure that this one is consistent with the first two in tone and themes and loveability, and a group of new readers who will read this manuscript and tell me if it’s confusing and if they can relate to the characters even if they didn’t read the other two. A lot of kids read books in a series out of order, and I want to make sure they can enjoy this one if it’s the only one they read. It’s been some time since my last post! I hope you are doing well. I’d love to hear from you and what you are reading or doing, especially if, like me, you’ve been snowbound for awhile! I will close with a highlight from the end of January, right before all of our snow started falling. These are pictures from a Young Author Day where I was invited to give three presentations and sign a lot of books! What a fun day with the kids at this private school in Bellevue! Join Sophie Topfeather and Timley Mouse on a Holy Land quest in Sophie’s Quest, a novel for kids ages 7-11. With Sophie and Timley, you’ll hear about the first Christmas from a Bethlehem sheep dog—a dog whose ancestors were with the shepherds when the angels shared the startling good news of baby Jesus’ birth! Keep reading for a chance to win a free copy in the 12 Days of Christmas Books Giveaway. Hello! Do you like children’s books? To celebrate the holidays, I’m contributing Sophie’s Quest to a giveaway contest sponsored by a Christian Children’s Author group blog that I have joined! Click here to see ALL the wonderful Christmas books that you could win (starting today!) 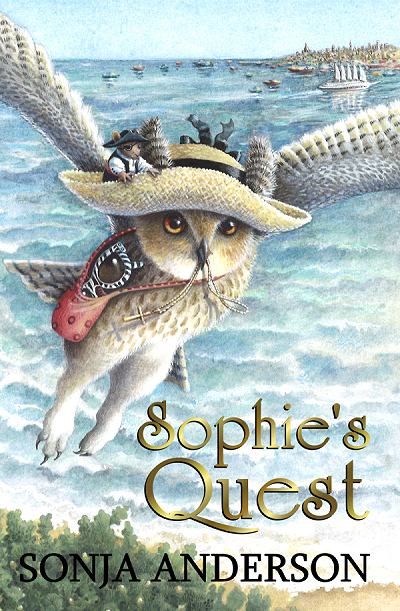 and keep tuned in to this space for a chance to win Sophie’s Quest beginning this Friday. It’s easy to enter–all you’ll need to do is leave a comment, and share the post for extra chances! Until then, let me just assure you that I haven’t fallen off the face of the earth! I have been busy memorizing the book of Philippians as I told you about in my last blog post (I’ve begun chapter 2! ), and I’ve been focusing my writing time on finishing the third book in the Sophie Topfeather series, Sophie’s Gold Rush. I still don’t have a publisher lined up for this one, but the continued enthusiasm for the series at my own school is keeping me motivated and excited to bring the book out when it’s done, even if I have to put it out myself! Thank you to my prayer team–I sense God’s leading in this, for sure. The rough draft is done and I am nearly finished typing in all the handwritten pages. Yes, I still do first drafts by hand! Then it will be off to the races with revision, revision, and more revision. Got to get it right! This Thanksgiving season I have much to be thankful for, and I trust that you do as well. 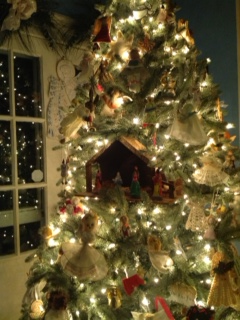 Blessings to you as we enter the Christmas season! Enter the contest, and maybe you’ll begin the holidays with a new book in hand! What’s in Your Wallet? No, HEAD! Wallets are held close–usually with us every time we go out, with our most important personal cards or pictures tucked inside. Shouldn’t it be the same with our MINDS? What do you hold close in your head? This question keeps coming up for me. After working on the blog series this past year about our hope in Christ, and feeling a change in my levels of anxiety and peace, I wondered what to do next. What could help me to continue to grow, to continue to replace my anxiety about our nation’s uncivility and unwillingness to compromise and work together with more good news from God? What could increase my love toward those I don’t understand? One Sunday this spring, a woman came into my Sunday school class with a challenge. She had memorized the book of Philippians over the past couple of years and had experienced such joy and closeness with God while doing it that she wanted to present us with the opportunity to memorize scripture, too. She would meet with us after church every other week or so to hold us accountable. Could this be the next thing to help me counter my addiction to American politics? I prayed, remembered how I “wrote lines” of poetry in high school AP English, and signed up. We could memorize any part of the Bible we wanted, short or long, but I was intrigued by the leader’s memorization of Philippians. It has only four chapters and includes a life-changing verse that I learned as a kid from a Camp Mission Meadows banner in the dining hall: For me, to live is Christ and to die is gain (Philippians 1:21). So, this summer, that’s what’s in my head. Philippians. It gives me something to recite and think about when I go walking, and when I am pulling all those weeds out of my garden. Have you ever memorized anything? Any tips to share on how to do it? Please let me know in the comments! What was your experience? Perhaps as an encouragement, and to hold myself accountable, every once in awhile I’ll type out from memory what I’ve done so far, okay? I thank my God every time I remember you. In all my prayers for all of you, I always pray with joy because of your participation in the gospel from the first day until now, being confident of this: that He who began a good work in you will carry it on to completion until the day of Christ Jesus. It is right for me to feel this way about all of you, since I have you in my heart; for, whether I am in chains or defending and confirming the gospel, all of you share in God’s grace with me. God can testify how I long for all of you with the affection of Christ Jesus. And my prayer for you is this: that your love may abound more and more in knowledge and depth of insight, that you may be able to discern what is best and may be pure and blameless until the day of Christ, filled with the fruit of righteousness that comes through Jesus Christ, to the glory and praise of God. I can’t guarantee that every comma and semi-colon is in the correct spot, and it took two weeks to nail down just the first couple of verses, but there you have it! Have a blessed summer, everyone! What’s in your head today? Watching for whales out my living room window isn’t something I talk about a lot. Not because it’s crazy–I live near Puget Sound, home to whales–but because twenty-five years of watching for them has proven fruitless. Until yesterday. I was just eating my salmon dinner and looking out the window at the especially calm waters on that last night of April when I realized that something else out there seemed to be enjoying his own seafood dinner. A very large head came up out of the water again and again, shaking around and splashing. Birds circled low above his head, looking like they wanted to get in on the dinner, too. Binoculars confirmed it–whale! It brought to mind a verse we talked about at church on Sunday–Hebrews 11:1. It describes faith as “confidence in what we hope for and assurance about what we do not see.” It’s a verse that is hard to wrap my mind around–how can we have such assurance about something that we hope for, but can’t see? It’s almost like a tongue-twister, or like a cat chasing its tail. A “what comes first, the chicken or the egg?” scenario. Yet, last night, as I pondered this verse and thought about how I finally saw a whale after twenty-five years of living in my house along Puget Sound, it suddenly made sense. Scientists on the news, signboards at Alki, neighbors reporting in to the community blog, textbooks on Washington State–all contributed to my knowledge, my assurance, that whales lived in Puget Sound. Eye-witness accounts corroborated that idea often enough that even if I didn’t see them myself, I knew they were there, somewhere in that 800-feet-deep water out in front of my living room window. I had faith in the existence of the whales, and I had hope that I might be lucky enough to see one someday. My confidence was not ill-advised or pie in the sky. The deep, deep waters of the publishing industry occupy my thoughts these days as I am still waiting for two traditional publishers to let me know if one of them will take on my Sophie Topfeather series. It’s been three or four months–not twenty-five years–since I’ve submitted the manuscript, and yet I have to admit that some days I already feel weary of the wait. I just want to know, to see the email or get the phone call that will put my questions to rest and help me discern what God might be directing me to do with those books and characters I love so much. And yet, I remember all the “eyewitness” accounts–including my own–of God’s faithfulness, amazing moments of God’s presence through the journey that Sophie Topfeather and I have already traveled, the way the kids at school have responded, the way that whales show up just as I am pondering the question of waiting and hoping in God–and I have to say that I have faith in the next phase of the journey, too. I’m grateful for the Holy Spirit, that mysterious third part of the Trinity that gifts us with faith and hope and comfort and peace–despite not knowing if we will ever, ever see for ourselves that whale in whatever deep waters we are facing. So, even when I cannot see a whale in that deep publishing sea yet, I know it is there. And I am glad. May the God of hope fill you with all joy and peace as you trust in him, so that you may overflow with hope by the power of the Holy Spirit, Romans 15:13. The answer, of course, is obvious: any burglar, thief, or interloper–anyone whose goal is to get in, find and take something, and then get out as fast as possible. That’s why one simple detail in the Easter story speaks volumes, at least to me, and about which we can certainly ask the same question: Who would do such a thing? Early in the morning of the first day of the week, while it was still dark, Mary Magdalene came to the tomb and saw that the stone had been taken away from the tomb. 2 She ran to Simon Peter and the other disciple, the one whom Jesus loved, and said, “They have taken the Lord from the tomb, and we don’t know where they’ve put him.” 3 Peter and the other disciple left to go to the tomb. 4 They were running together, but the other disciple ran faster than Peter and was the first to arrive at the tomb. 5 Bending down to take a look, he saw the linen cloths lying there, but he didn’t go in. 6 Following him, Simon Peter entered the tomb and saw the linen cloths lying there. 7 He also saw the face cloth that had been on Jesus’ head. It wasn’t with the other clothes but was folded up in its own place. Hmmm. Jesus’ disciples were accused of stealing Jesus’ body, but if you were concerned about the Roman guards milling about–guards who had been charged (on the pain of death) to carry out the responsibility of preventing just such a thing, would you take the time to unwrap the linen grave cloths–and then carefully fold the one that had been on Jesus’ face? Who would do such a thing? There’s only one answer that makes sense to me, and that is Jesus himself, after he was resurrected and needed to see in order to exit the tomb. We know from other stories that Jesus was an orderly person. He sat thousands of people into groups of fifty (Luke 9:14) for the miracle of feeding the 5000, for example, and he grew up as a carpenter. Anyone who knows anyone in work that involves precise measurements, knows that Jesus probably grew up caring about good order! Folding the cloth in his tomb fits the story of who he was and is–and not what we expect from someone in a great, big hurry. Two millennia have passed since that first Easter, so it’s clear that believing in Jesus as the Son of God is ultimately a matter of faith. A folded cloth, the testimony of hundreds who claimed to see Jesus after the resurrection, the accounts of the disciples who all risked their lives (and nearly all gave their lives) in order to spread the good news, and the witness of millions today who claim that Jesus is present still–Immanuel, God with us–will not be enough to convince anyone of the truth of the gospel. However, when you read about Jesus’ life, death, and resurrection, you probably need to ask yourself–Who, but God, would do such a thing? Happy Easter! May you find hope in the good news today! This past fall, you might recall, I seriously needed to reclaim some perspective. Troubling heart palpitations and a subtle, but relentless, sense of anxiety over the seemingly deliberate reign of chaos in Washington were beginning to truly get to me. I needed to remember who is really in charge of the nations. My God is Lord of all, including nature. Despite perceived chaos, the sun still rises and sets, the rain still falls (and falls, and falls, here in Seattle). 2. I am never completely alone, and no place or person is beyond God’s reach. 3. God can still the storm around me–or choose to still the storm within me. 4. God is a refuge and strong tower–stronger than any evil the world may conjur up. 5. Political leaders must answer to God for their actions. 6. God always keeps his promises. 7. God kept the biggest promise of sending his Son, Jesus, to show us the way back to Him. Which brings us to today! 8. Jesus came to pay the price of death for our sins in order to save us once and for all, and he actually did it. Let’s think about that for a minute. If he knew he’d be raised again after just a couple of days, was that really so hard? 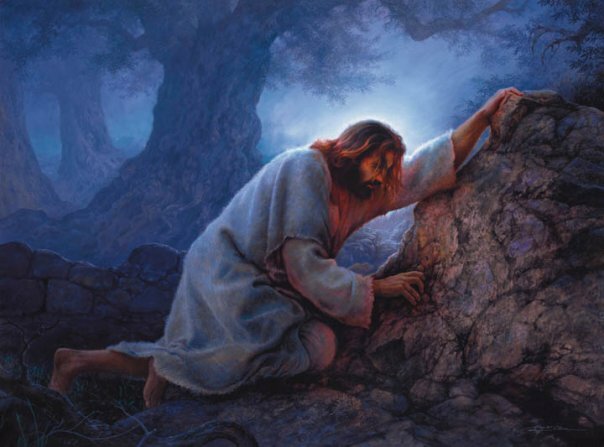 In Mark 14:34, just before he is arrested, Jesus tells his disciples in the Garden of Gethsemane: “My soul is overwhelmed with sorrow to the point of death.” He also prays, “Abba, Father, everything is possible for you. Take this cup from me.” Luke adds the detail that he was in such anguish that “his sweat was like drops of blood falling to the ground” (Luke 22:44). On the cross, when darkness “came over the whole land,” Jesus cried out, “Eloi, Eloi, lama sabachthani?” which means, “My God, my God, why have you forsaken me?” (Mark 15:34). So, not easy after all. Cowards need not apply. Through it all, however, Jesus said, “yet not my will, but yours be done” (Luke 22:42). Jesus had, actually, been tempted to take an easy way out, and bypass this whole crucifixion ordeal. All he had to do was worship Satan. Jesus refused (see Luke 4 for the whole story). In the church calendar year, we’re just about to enter the season of Lent, a time to reflect on our own sins, and our need for a Savior like Jesus. Try it. It’s not easy. I don’t want to even own up to a few “little white lies” that might have slipped out without thinking, or to admit to the ways that selfishness or pride get in the way of my relationships from being as loving as they could be. Think of the heart-heaviness that must exist for the person who is owning up to deplorable acts. It must be nearly impossible to bear (Dr. Nassar’s cowardly letter to the judge comes to mind). A compassionate Harry Potter tells even Voldemort, in a last-ditch effort to help save the despicable villain who had murdered his own parents, that he must try for remorse. Voldemort, of course, lacks the courage. Jesus’ job–owning up to our sins–all of them, all at once–was not a job for sissies. Yet, he actually did it. Thank you, Jesus! You’re my hero! Happy Advent! “Advent” means “the arrival of a notable person, thing, or event” “especially of something momentous,” according to a quick search of online dictionaries. In the Christian church calendar, it means waiting for and celebrating the arrival of Jesus, God in human flesh. It’s worth celebrating, for the people of God had been waiting for this event for hundreds of years! Have you ever thought about why the church was waiting for Jesus in the first place? He didn’t just appear, do some amazing things, and get talked about after that–the Jewish people, the people Jesus was born into, had been anticipating his arrival for a very long time. How did they even know that a Messiah, a Savior, was coming? Now, to be clear, most Jews are still waiting. They didn’t see in Jesus the person they were waiting for. There are lots of reasons for that (to explain in another post, perhaps). For the people who did–and do–see Jesus as this “notable person” who they’d been waiting for, why? Last week we talked about promises, mostly the promises we make to one another. Well, God, from the very beginning, made a very big promise to Adam and Eve, and to all of us: He promised us a Savior. In the very first book of the Bible, in Gen. 3:15, God promises that someone was coming who would “crush the head” of the serpent who deceived Adam and Eve and led them astray. I will put my Spirit on him and he will bring justice to the nations. He will not shout or cry out, or raise his voice in the streets. In his law the islands will put their hope. It was also predicted that the Messiah would be born of a virgin (Isa 7:14; cf. Mt 1:33). His birthplace would be Bethlehem (Mic 5:2; cf. Mt 2:1, 6), and John the Baptist would be his forerunner (Isa 40:3-5; Mal 3:1; cf. Mt 3:3, Mk 1:3; Lk 3:4-6). Who does that sound like? Sounds like Jesus, to me. Over this holiday season, may you seek the One who came to rescue us from our blindness, to help us leap like a deer, and to shout for joy. Happy Advent, and Merry Christmas! Do you expect people to keep the promises they make? We certainly don’t expect politicians, even ones we like and vote for, to keep all the promises they make. It’s pretty much a given that they won’t or can’t. In a society where the first response to someone ‘fessing up to not following through on something they said they’d do is “No worries,” it’s hard to actually expect anyone to do exactly what they say they’re going to do, every time–or at least to make a really sacrificial effort trying. We quickly say, “No worries,” to indicate that we knew the task was going to be difficult, or that we empathetically understand that life is busy and we didn’t really expect them to do it, anyway. At least, that’s the way I take it. What about God? The Bible, often referred to as “God’s Word,” makes a lot of promises. My grandmother once gave me a flip calendar of Bible promises. I was at an age where I was truly wondering if I could take God at his word. What was he promising me anyway? I needed to know. I had just moved to Japan, and I came across the verse “Delight in the Lord, and he will give you the desires of your heart.” I knew what my desires were, but there was a second part to this promise. I had a job to do! I was to figure out what it meant to “delight in the Lord.” (I actually wrote a story about this time in my life that was published in Cup of Comfort Book of Bible Promises, still available on Amazon). Long story short, and 25 years of marriage, two beautiful daughters and a career as a children’s author later, I figured it out at least a little, and God has certainly kept his end of the promise! What promises has God made in his book that you would like to see fulfilled for you? Do you ever take God at his word, doing your part to get to know him, worship him, love him and others as yourself? Do you expect him to keep his promises to you? Here are just a few of God’s promises to look up, and next week we’ll talk about his biggest promise of all! Which ones resonate with you? Look them up. Is there something you need to be doing to, as part of the promise? The image is from http://www.ministrybestpractices.com.